This is exactly what a three-year old student said to me five years ago. As a child of the late 70s, this comment made no sense to me whatsoever. However, it did make me think about how times have changed since I was a child. I can vividly remember my older brothers saying to me, “We’ve been gone all day and the street lights will be coming on soon! We need to get home.” The street lights, and the fear of being punished by our parents, were the only reasons that would pull me and my brothers out of the woods. So how is it that a three-year old does not want to go outside? I received my Montessori teaching certification from CMTENC in 2005. One of the many things that resonated with me during my training was that our job as Montessori educators was not only to teach academics, but to provide an enriching environment, inside and outside. 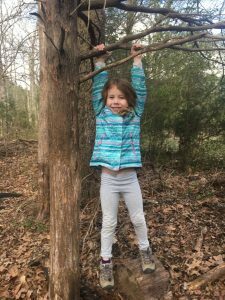 For the children, it sparked a love of learning and a love for peers , animals, and nature. I never foresaw a child not wanting to go outside. Was this my fault as her teacher? Was it the fault of society? Was technology to blame? I’m not sure who or what was to blame, or if there was even blame to be had, but I knew I needed to change something. I readily admit that it is hard for me to go through my day without checking my phone for emails, Facebook, Instagram etc. We, each of us, are living at a faster pace than we were in just 2005. How was I going to do this? Could I encourage a love of the outdoors? Where would I even begin? 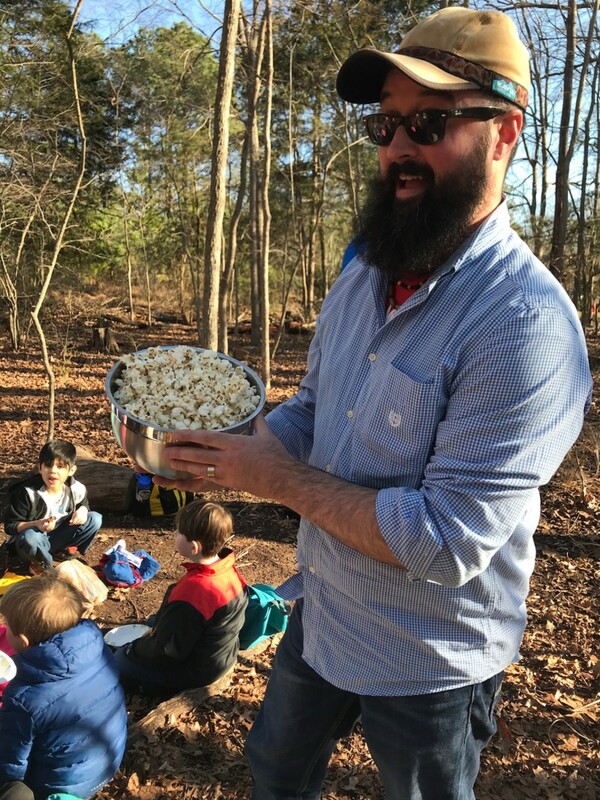 I needed to rediscover my own love of the outdoors to make any difference in these children’s lives, as their teacher. During the summer of 2014, I left with Outward Bound on an eight-day backpacking/rock climbing excursion in the Sangre De Cristo mountains in the beautiful state of Colorado. It was the most exhausting and rewarding experience of my life. 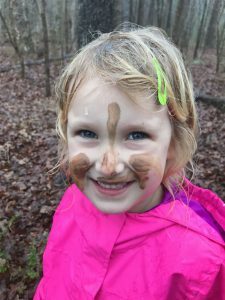 Fast forward to April 2016, I received my forest kindergarten certification at Cedarsong Nature School in Vashon Island, Washington. I felt as though these two experiences prepared and inspired me to get these kids outdoors, and now I had a plan. 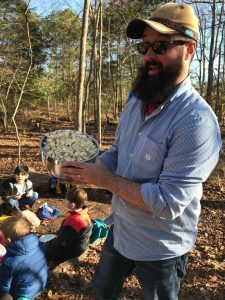 Beginning in 2017, with Montessori Community School’s support, I began Outdoor Adventures. The participating children and I meet after school on Thursdays to be out of doors together. 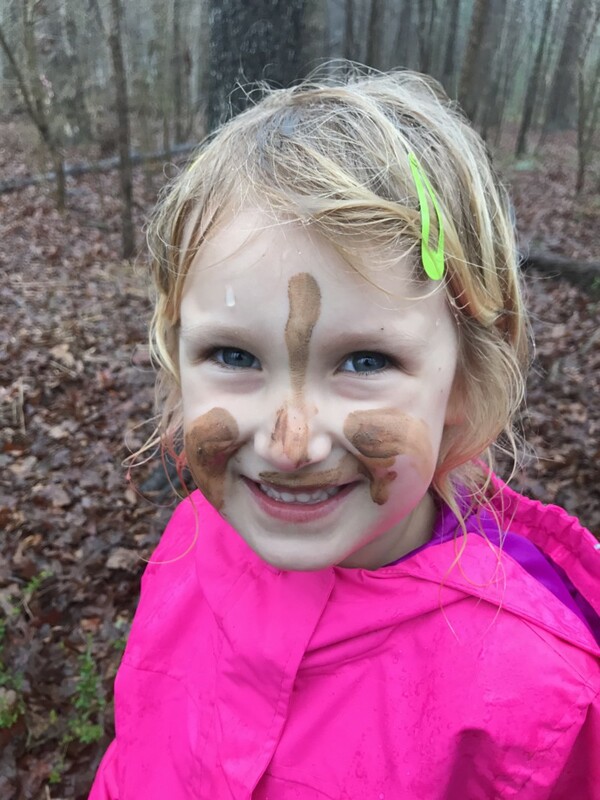 There is nothing better than seeing a child’s face light up when you take them into the woods. The teachable moments are endless when you’re outside. 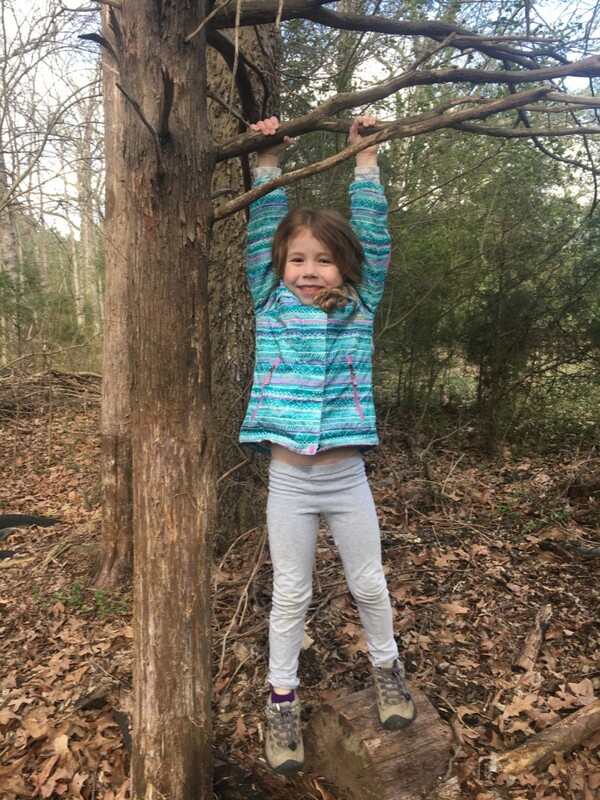 I appreciate MCS as they understand the importance of outdoor time for children and we regularly discuss how to bridge the gap between nature and the classroom. This is a place of community, with room for individuals to explore their interests and implement those interests with our students and for that I am grateful.